Despite this cyclist (and the nearby pile of parked bikes) in Sakarya, there is a lack of commuter biking infrastructure in virtually all Turkish cities. Photo by Sibel Bulay. Antalya, a popular tourist city on the Mediterranean coast with about one million inhabitants. There is a long history and strong culture of biking in these cities, according to Sibel Bulay, director of EMBARQ Turkey. “The factories used to have large parking lots for bikes, but with the introduction of the car, the culture of cycling decreased radically,” she says. Now the most common cyclists include retirees and the working class who commute for economic reasons. As efforts to establish pilot bike lanes materialize, Bulay expects a few challenges. 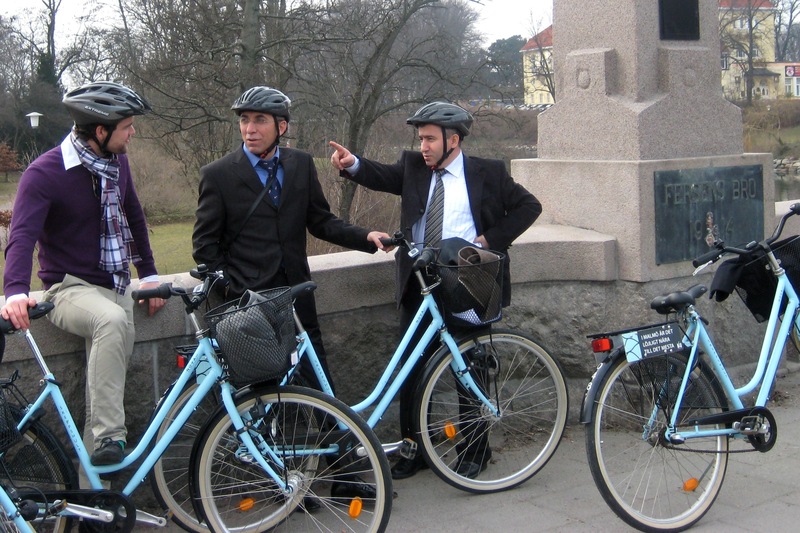 Cycling is seen by city administrators as a working class mode of transport and an illegitimate mode of mobility. However, it is growing as a mode of commuting, especially among youth and university students. The challenge is to get government leaders to view biking as a valid form of public transportation. “There’s virtually no infrastructure, and what was there was either old or didn’t conform to any standards,” Bulay says. Getting car drivers to share the limited road space with cyclists will also be an ongoing challenge. Sakarya's Secretary General and the Director of Transport on a visit to Malmo, Sweden. Photo by Sibel Bulay. The goal is to re-introduce cycling as a transport mode in Turkey by developing bike corridors in highly visible areas that showcase the infrastructure. Additionally, in each of the three cities a team of representatives from the sectors of the environment, public works, city planning, transport and police/security are working to understand the state of cycling in their respective cities as they develop the pilot projects. EMBARQ Turkey also held three workshops, with more to come in Eskişehir, to help educate government officials on good corridor design. 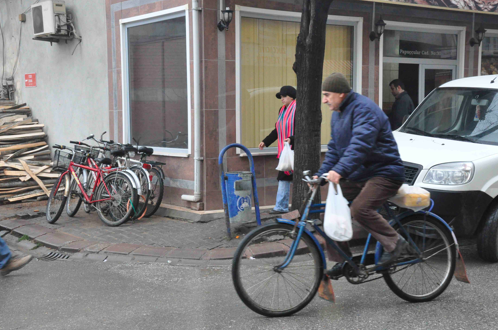 In Sakarya, planners have taken initiative with bike lane development. City planners added 1.5 kilometers of cycling lanes to an intersection that was being redesigned, seeing it as an opportunity to take the first steps to improve cycling in the city. Bulay says she expects the first cycling corridors designed for commuters to be completed in the summer.